Midwest Bat Specialists – Got Bats? Midwest Bat Specialists LLC will MATCH or BEAT any competitor’s written estimate so you get the best value for your bat proofing project! When your home or business is under siege from a bat infestation, it can feel like you’ve got nowhere to turn. That’s where Midwest Bat Specialists LLC. comes in. You’ll get humane bat proofing that follows all Wisconsin DNR guidelines and a guarantee that the bats will be gone for good. And we’ll always MATCH OR BEAT competitors’ estimates so that you save money and headaches while besting the bats. So whether you’ve got an ongoing bat infestation, you’re worried about bats entering your home or business, or you’re simply not sure what those sounds in the attic are, Midwest Bat Specialists LLC. 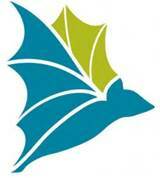 has the knowledge and resources to help end your bat woes. And since we comply with DNR guidelines, you’ll never deal with harmful chemicals or poisons. So for eco-friendly bat proofing solutions, bring your bat issues to Midwest Bat Specialists LLC. We serve all of Wisconsin.